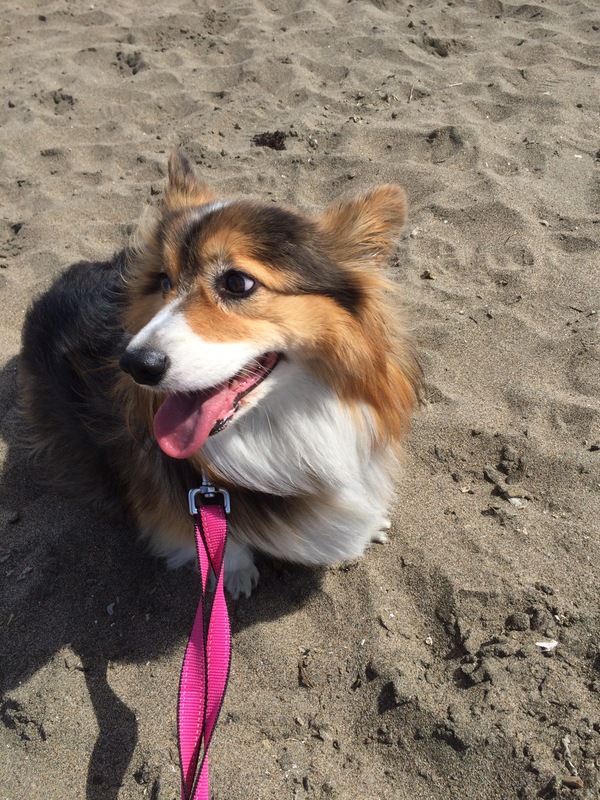 Fascinated Friday: Northern California Corgicon, or Oh my god! They’re everywhere! Howdy all, So, true to my word, I am using this Fascinated Friday to report back on the grand adventure that was last weekend’s Corgi-con. 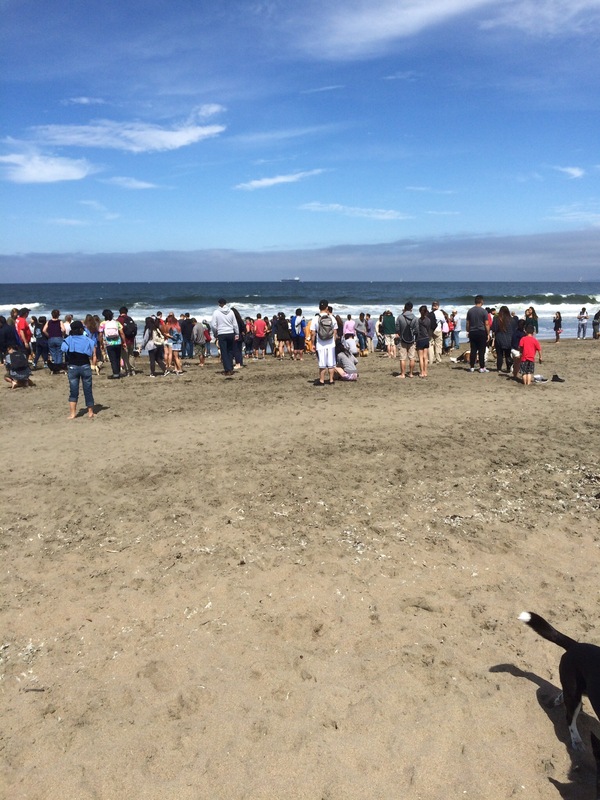 I packed up the family, including my wife, my three year old son, and Zuzu the fluffy corgi, into the car and headed out into the morning, bound for our destination at Ocean Beach in San Francisco. The cryptic facebook messages indicated that the conclave (congregation? convention?) of corgis would be near stairwell 23, by the windmills at Golden Gate Park. The drive was wonderful, and as we got to the city, the day was gorgeous. San Francisco was celebrating Pride that weekend also, so it was just an amazing time to be up there. We got to the beach and amazingly enough, found parking. Even before we were out of the car, we spotted our first corgi. Those tiny legs and little fluffy tush were unmistakable. We had found it. We followed the other corgi owners down the steps and out on to the beach, and this was the sight I saw in the distance. Yes, a mass of people, and even at this distance, you can make out the scampering little terrors running around them. As we got there, I began to realize that my initial estimates had been off. There was no way there were going to be a thousand corgis here. But, as I am a writer and English teacher, and think math is stupid, I was fairly unphased by this. There were still a lot of corgis out there, and I was going to get my fill of low-to-the-ground cuteness. We got in amongst the crowd, and it was then I realized two things. 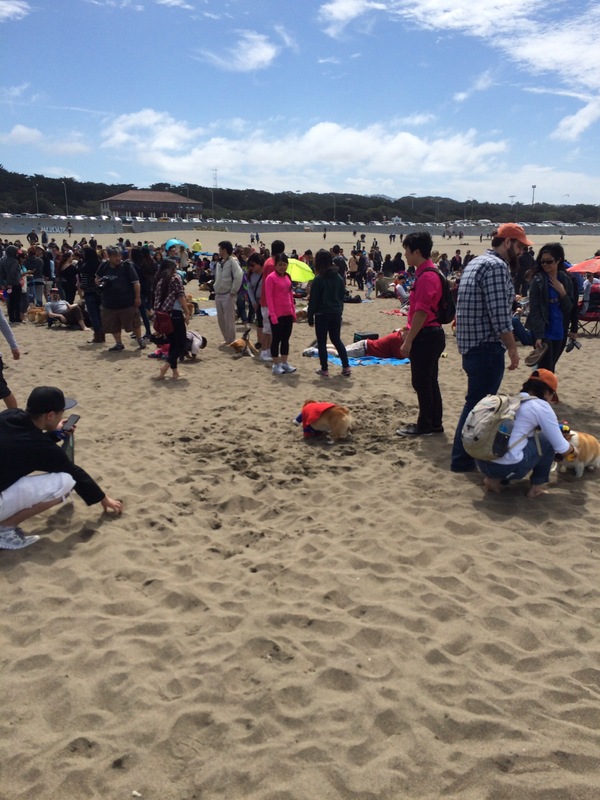 1) The actual count of corgis that day was close to 500. While this is less than a thousand, it is still a lot. A massive amount actually. 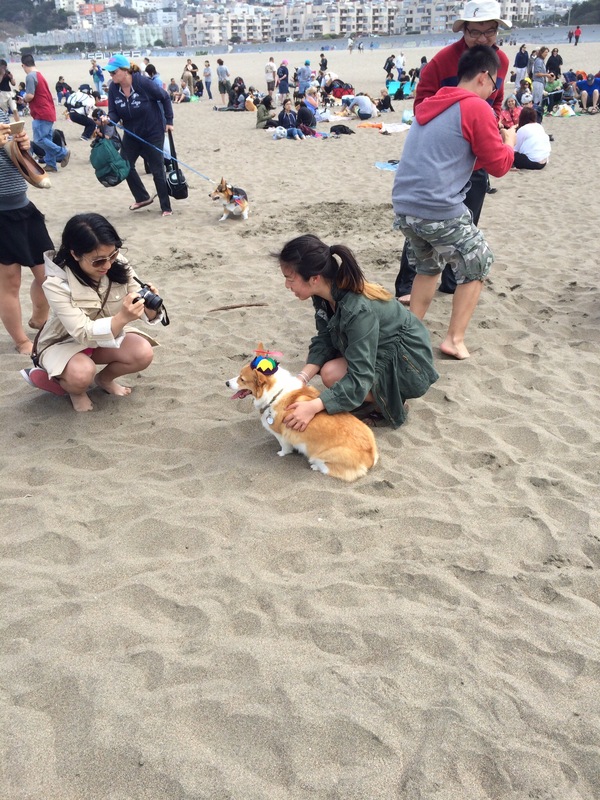 There were corgis everywhere. At one point, there was a corgi stampede. It was blissfully surreal. 2) Zuzu was the bell of the ball. Fluffy corgis are an anomaly of the breed, and so many breeders don’t like them because they cannot show them. I think this is stupid. 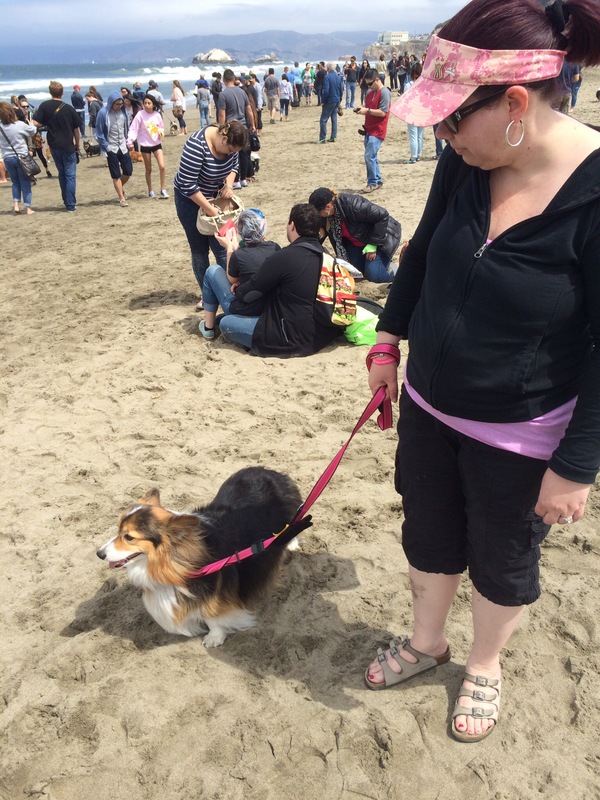 But what it meant that day was that even amongst a huge amount of corgi aficionados, Zuzu garnered a lot of attention. Like a lot. To be honest, my wife and I were kind of unprepared for the amount. Now our three year old is pretty cute. Like amazingly cute. So it is something pretty nuts when people totally ignored him to try and take pictures with our dog. My wife and I had to take turns, acting as Zuzu’s publicist. It was an awesome, but kind of weird experience. Thank goodness I watched all those episodes of Entourage. It prepared me to act as Ari Gold for my fluffy Vinnie Chase. So enjoy some pictures of the madness that was Corgi-con. We will definitely be going back next year, so mark your calendars now if you want to be part of Zuzu’s management team. Also, apparently I am not the only writer with a love for corgis. Check out Stephen King’s corgi. Until next time, keep finding things you love. Like massive assemblies of corgis.